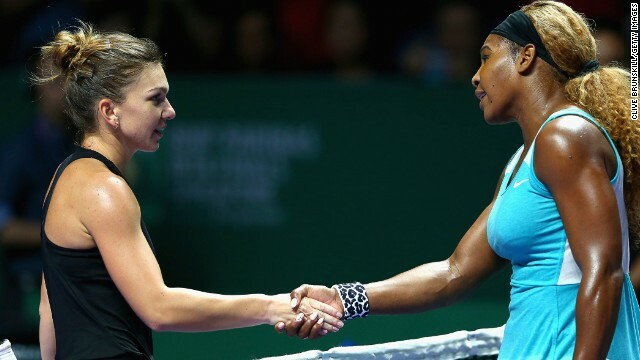 Serena Williams congratulates Simona Halep following the Romanian's sensational win in the group stages of the WTA Finals. 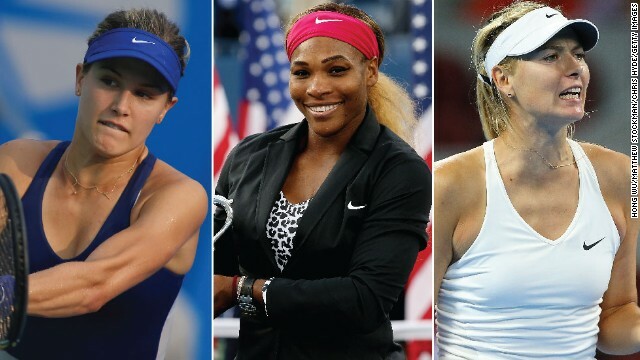 (CNN) -- Serena Williams will get the chance to avenge her worst defeat in 16 years on Sunday when she goes head to head with Simona Halep in the WTA Finals finale in Singapore. The world No. 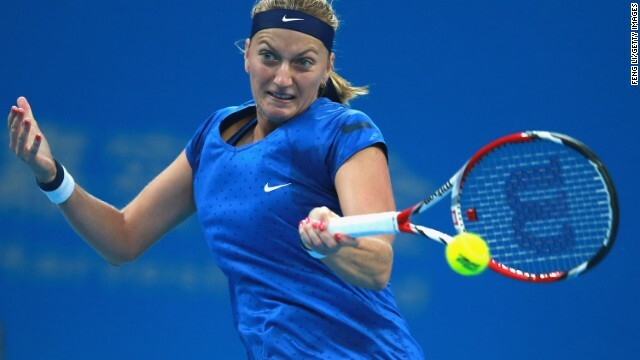 1 was humbled by the Romanian 6-0 6-2 in the group stages of the tournament earlier in the week, but following Williams' semifinal victory over Caroline Wozniacki and Halep's over Agnieszka Radwanska, the pair are set to do battle once more. Few would bet against Williams clinching a third successive title and her fifth overall at the season-ending finals, but Halep will be the fresher of the two women after dispatching her Polish opponent 6-2 6-2. 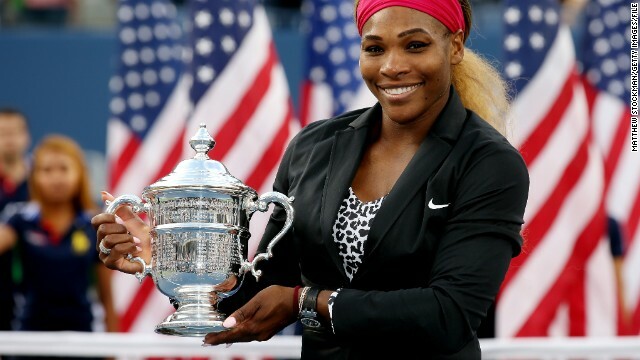 Williams had to come from a set down to beat Wozniacki in what proved to be a thrilling semifinal on Saturday. An enthralling match saw the Dane take the first set with ease, 6-2, before Williams rallied to take the second 6-3 to force the match into a decider. Wozniacki had only beaten Williams once in their 10 previous meetings, but looked as though she might double her winning tally as the third set headed towards its climax. A break of serve for Wozniacki in the ninth game gave her the opportunity to serve out the match, but Williams, ever the fighter, broke back immediately to level at 5-5. Two games later it was Wozniacki who was staring down the barrel as Williams earned a match point on the Dane's serve, but the world No. 8 bravely resisted to take the match into a tiebreak. With a match point saved, Wozniacki then raced to a 4-1 lead in the tiebreak before Williams bounced back with five unanswered points. Wozniacki saved a further two match points, before Williams finally clinched the tiebreak 8-6 in a marathon deciding set lasting 76 minutes. "I have to say Caroline played a great match," Williams said afterwards. "It was really difficult today. I felt really bad because she's so amazing and so nice, and she was the only player who hadn't lost in this tournament yet, so she really deserved to win. I love you - thank you for playing so well." The 33-year-old's 2-6 6-3 7-6 (8/6) win was in stark contrast to Halep's -- this year's French Open finalist needed just over an hour to breeze past Radwanska in straight sets. 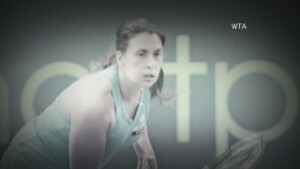 Victory sees Halep reach the final in her first appearance at the WTA Finals, but the world No. 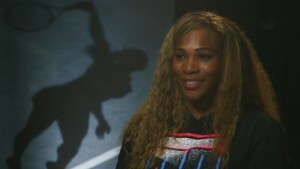 4 played the percentages when asked if she thought she was favorite to beat Williams again. "She's older than me and she knows how to manage this final tomorrow," Halep said. "For me it's first time. But still, I believe that I have a chance." Andy Murray sealed a 17th win in 19 matches to book a place in the final of the Valencia Open. The Scot, who is chasing down a spot in the season-ending ATP Tour Finals, beat home favorite David Ferrer in Saturday's semi 6-4 7-5. Murray will face Tommy Robredo on Sunday after the Spaniard completed a narrow 7-6 (9/7) 7-6 (7/2) victory over France's Jeremy Chardy. Meanwhile in Switzerland, Roger Federer reached his 11th Swiss Indoors Basel final with a three-set -- 7-6 (10/8) 3-6 6-3 -- win over Croatia's Ivo Karlovic. The 17-time grand slam champion will face David Goffin in the final after the Belgian beat another Croat Borna Coric 6-4 3-6 6-3 in the other semifinal. Seventeen-year-old Coric had knocked out Rafael Nadal on Friday. The defeat turned out to be the last action of the year for the Spaniard who announced he will undergo appendix surgery at the beginning of next month. "As you know, I won't be playing in Paris or London. I'm having an operation for appendicitis on November 3rd. Thanks for you support," he tweeted. Nadal, who was playing for the first time since being diagnosed with appendicitis at the Shanghai Masters earlier this month, was clearly still out of sorts and will miss the Paris Masters and the lucrative season-ending finale in London for the second time in three seasons. The 28-year-old's withdrawal from the event, which starts on November 9, means there are four places still up for grabs -- Novak Djokovic, Roger Federer, Stanislas Wawrinka and Marin Cilic have already qualified for the eight-man tournament. Read more: Who will triumph in Singapore?